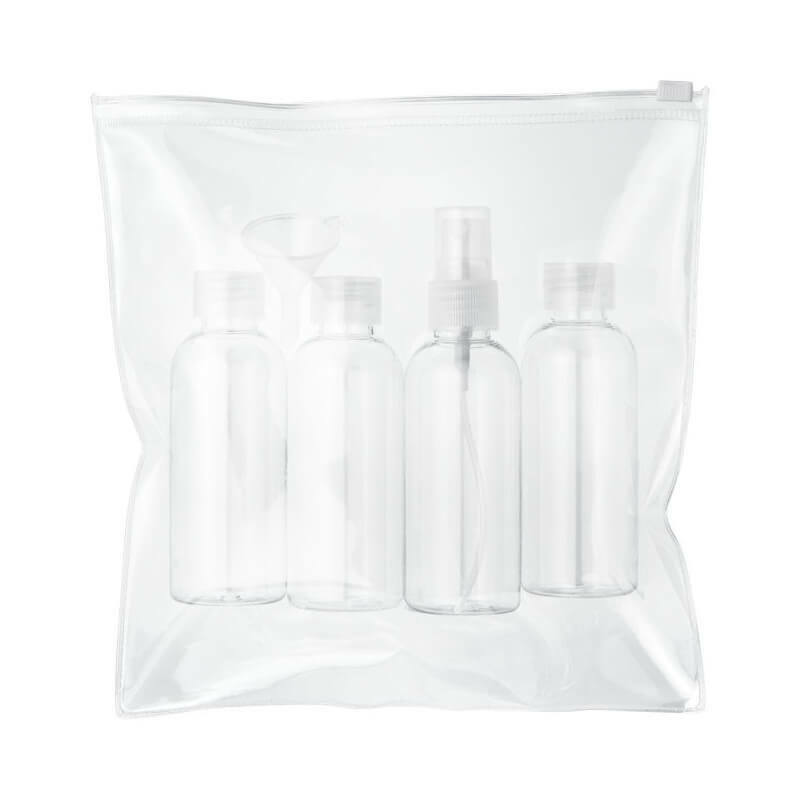 Tokyo airline approved travel bottle set. 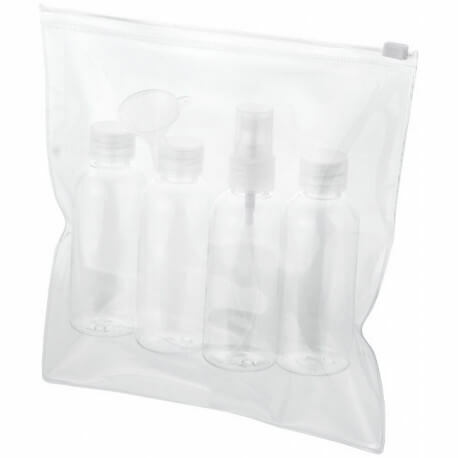 Zip-top resalable pouch for TSA-friendly travel. 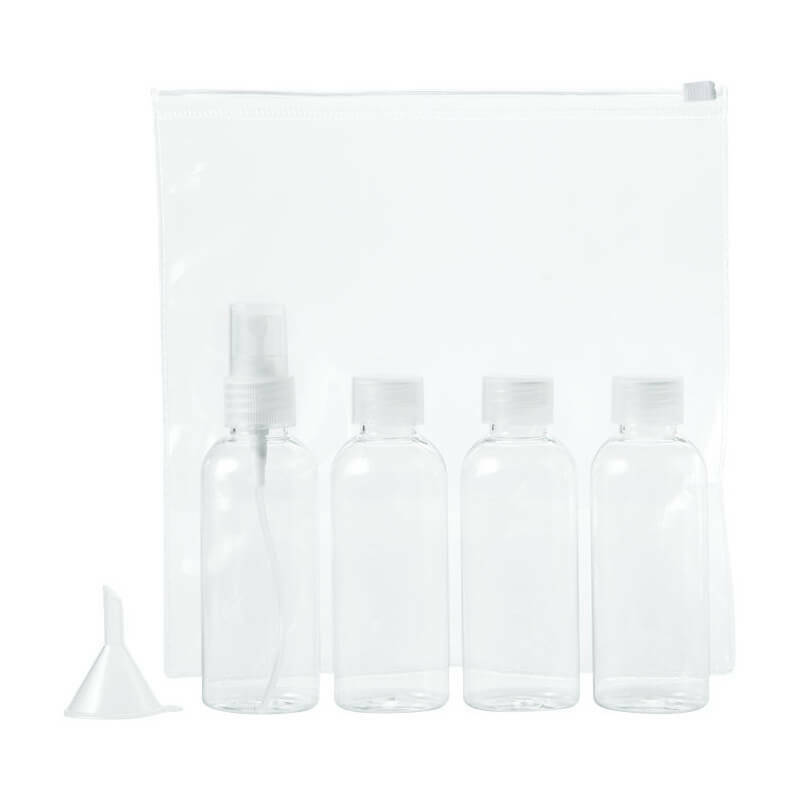 Includes 3 80mL refillable bottles, 1 80mL refillable spray bottle and mini funnel. 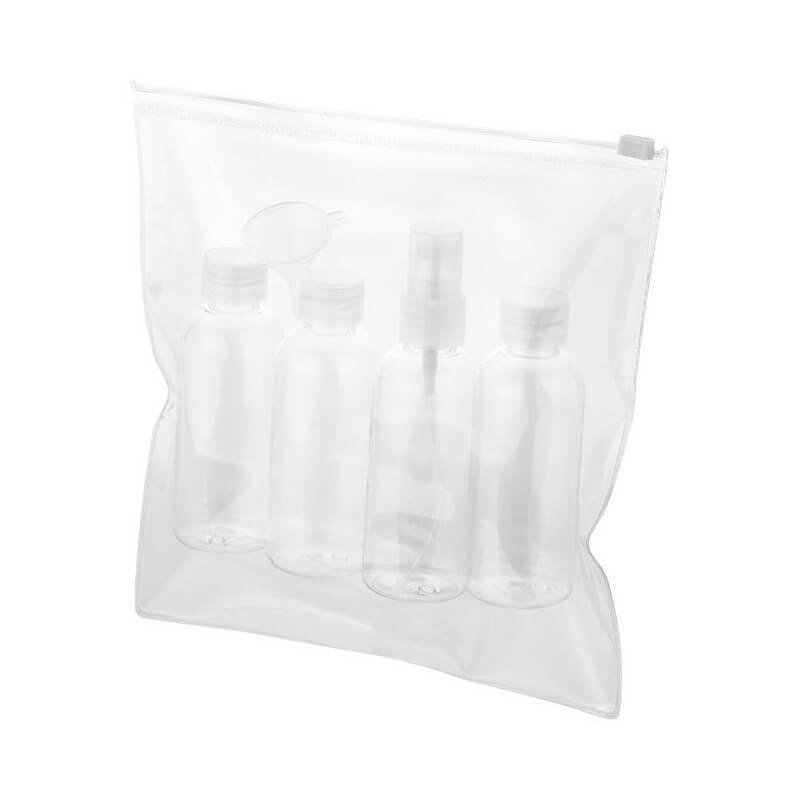 Bottles and funnel packed in polybag, comes separately from pouch. Decoration not available on components. PVC.